John Howard Mason Jr., age 70, passed away on January 21, 2019. John was born on June 9, 1948 to John H. Mason Sr., and Ruth W. Mason. He graduated from West Oso High School in 1966 and enlisted into the U.S. Marine Corp and served from November 1966 until November 1970. 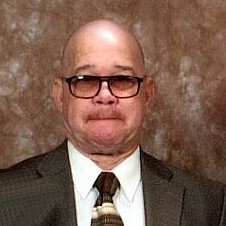 John was employed by HLP in Houston, Texas until his retirement. He then drove his own rig for several years. John enjoyed family gatherings and family reunions. He will always be remembered for his love of laughter and quiet nature. John was a loving husband, father, son, brother, cousin and grandfather. He is preceded in death by his parents, John Sr. and Ruth Mason, an infant son, brothers, Gerald and Anthony Mason. He is survived by his wife, Betty Mason; two sons, LaVockyeia Millett, Johnathan Mason both of San Antonio, Texas; his siblings, Phillip Mason (Mattie) of Houston, Texas, Madelyn Mason Williams (Rufus), Louis Mason all of Corpus Christi, Texas; 4 grandchildren; and a host of nieces, nephews, cousins and friends. Visitation will be held from 5:00 p.m. to 9:00 p.ml on Monday, February 4, 2019 at Corpus Christi Funeral Home with a Rosary to be recited at 7:00 p.m. that same evening. A Funeral Mass will be celebrated at 11:30 a.m. on Tuesday, February 5, 2019 at Holy Cross Catholic Church.